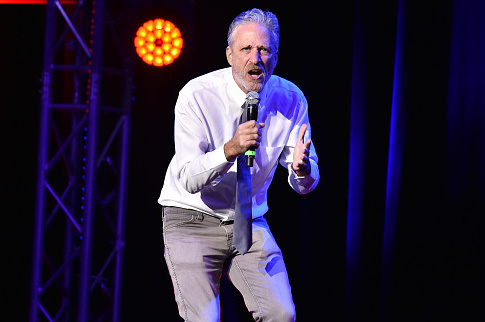 Comedian Jon Stewart's new HBO show has been canceled before it aired. Stewart signed a four-year contract with HBO in November 2015, the New York Times reported Tuesday. Stewart was working with the network to create animated shorts for what would have been his first big project since he stopped hosting Comedy Central's "The Daily Show" in 2015. "Appearing on television 22 minutes a night clearly broke me," Stewart joked at the time. "I’m pretty sure I can produce a few minutes of content every now and again." Stewart and HBO agreed to abandon the project because it was becoming more complicated than anyone had imagined, the Times reported. HBO released a statement confirming the project's cancellation. "HBO and Jon Stewart have decided not to proceed with a short form digital animated project," the statement reads. "We all thought the project had great potential, but there were technical issues in terms of production and distribution that proved too difficult given the quick turnaround and topical nature of the material." "We’re excited to report that we have some future projects together, which you will be hearing about in the near future," the statement continued. The shorts were supposed to be released daily and were meant to debut during the presidential election. Stewart will now work on a different project at HBO.